You are here: Home / All Posts / If Tom Waits Was a Painter! 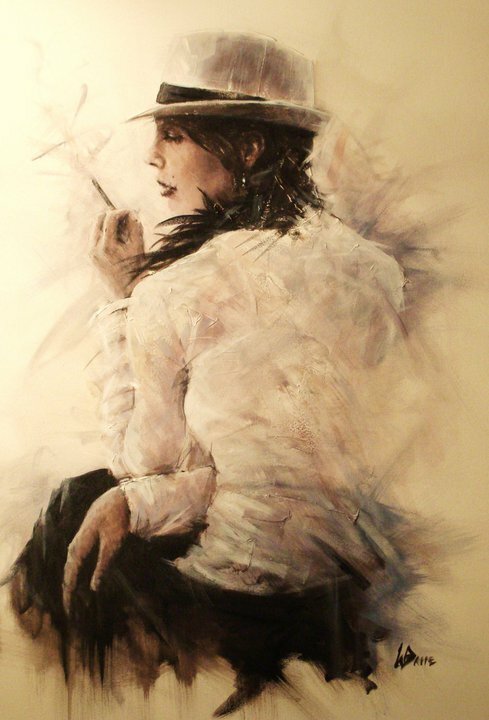 The Lounge Inspired Art of Remi LaBarre! 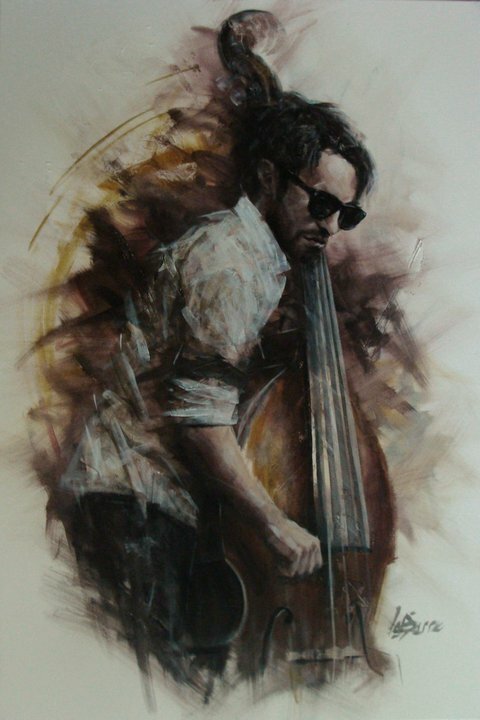 Art by Remi Labarre. All rights reserved. 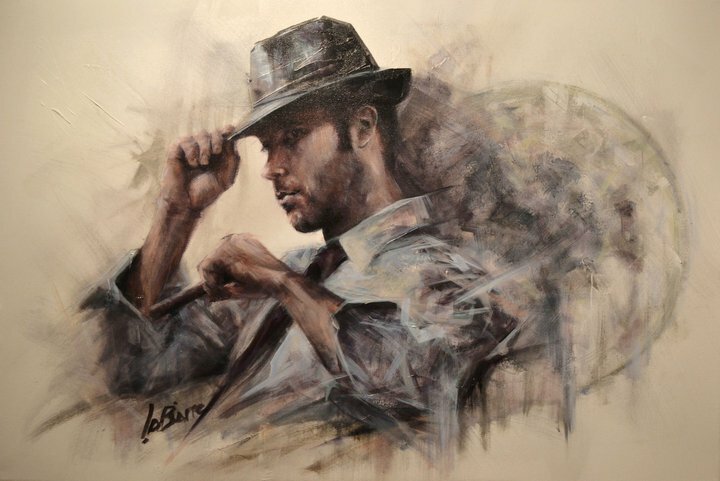 Artist Remi Labarre has a style of painting that conjures up piano bars, lounge acts and old-world cafes. That’s likely because they seem to be the focal point of his art. But more than that, his signature style evokes the feeling of a bygone age. 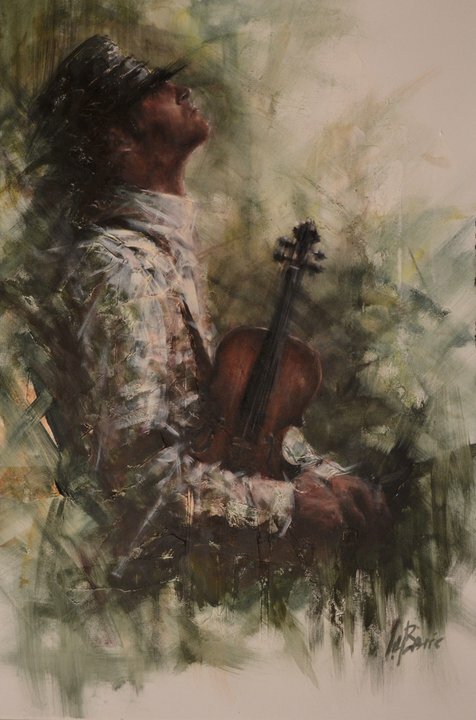 When I saw his work I was quickly struck by his stunning use of harsh brushstrokes. The way he hacks out just enough background to ‘finish’ the piece. This creates a wonderful tension between the foreground and background. It is this unfinished, yet stylistically appropriate, look that brings the images to life. 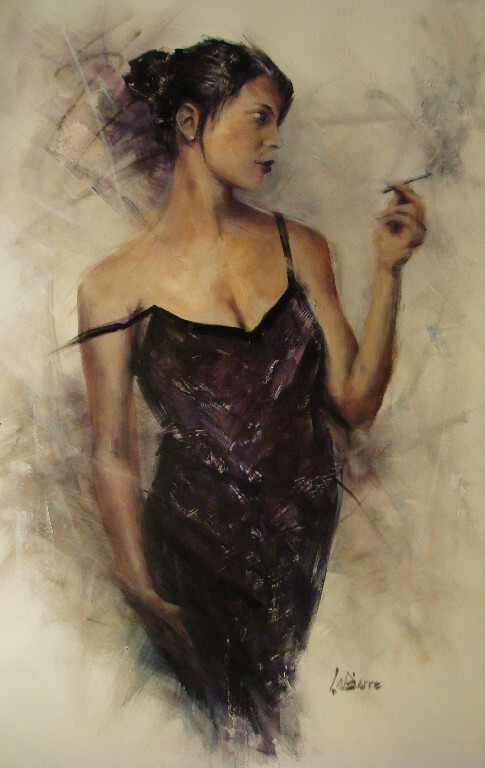 If Tom Waits were a painter, I think this is what his work would look like. I will post his work as a two part post. I found so much of his work that I liked, I saved way too much for a single post. But after you see this first round of work, I’m fairly certain you’ll be looking forward to seeing part 2 just as much as I want to post it! 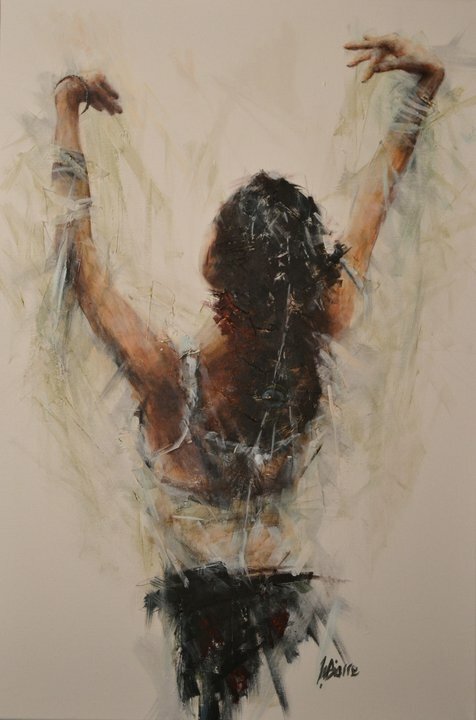 So, Remi LaBarre, for giving the world a modern take on the past, Give Us Art! salutes you! To see more of his work check out his website. For even more art, go to his Facebook page. « Bicycle Chain as Art? I Can Die Happy! The Work of Artist Seo Young Deok!